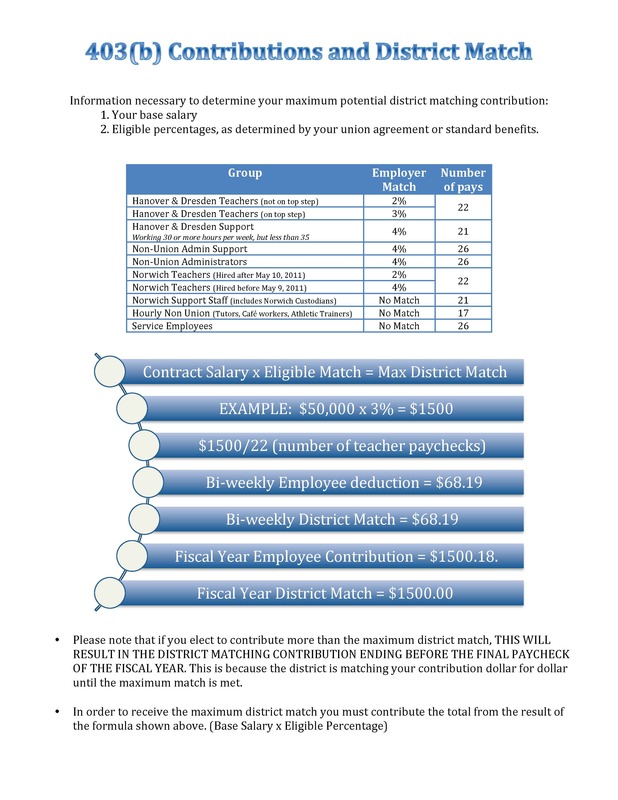 Please note that your benefits can vary depending upon what district you work in. Below you will find benefit information for both New Hampshire and Vermont. If you have any questions please contact the Human Resources Department. *Costs will be prorated for employees working less than full time or enrolled in coverage for less than a full year. Teachers(22), Support(21), Custodians(26), Year Round Non-Union Support Staff(26), School Year Hourly Non-Union(17), Non-Union Administrator (26). *Costs will be prorated for employees working less than full time or enrolled in coverage for less than a full year. If you need assistance calculating your prorated medical or dental costs contact HR. *The district pays the cost of single dental coverage for Full-Time employees, employee bears all of the difference if they wish to carry 2 Person or Family coverage. Teachers(22), Support(21), Custodians(26), Year Round Non-Union Support Staff(26), Non-Union Administrator (26). District co-pays are based on the cost of the Gold CDHP, this is applied to the cost of all other plans and the balances are the employee's shared amount. *The district pays $525 per year toward dental coverage for Full-Time Teachers. Dental coverage is not offered to Support Staff.